PARLIAMENT – As the country prepares for the State-of-the-Nation Address today Wednesday June 6, Members of Parliament have come out to give views on the issues they expect President Yoweri Museveni to address. The President will later in the day deliver the address at the Kampala Serena Hotel. At the same event, Mr. Museveni will open the 3rd session of the 10th Parliament while, addressing the country on its economic, political and social status prior to reading of the Budget. Ngora County MP David Abala said he expects the President to inform the country about the state of security because it is the heart of any development process. He also says he expects Mr Museveni to focus on issues of rampant kidnaps and gruesome murders, trafficking and child sacrifices that have been ravaging the country. Mr Abala adds that poverty levels are increasing and this is very alarming. “So we want answers of how he intends to curb this for example, in Teso region poverty level is at 41% and northern 34%. The health of the people is also critical because as I talk, the health system is down, doctors are demotivated, and no drugs in some health facilities and the issues are many. Imagine, recently we spent Shs2b to destroy expired drugs, is this real?” Mr. Avalanche told PML Daily on Tuesday. “When it comes to education, some secondary schools have less teachers. I know one that has one science teacher and yet it’s a secondary school,” he adds. He also expects the president to tackle the issue of technology, and how the country can use it to build capacity and issue of unemployment. “It has been four years since we had sealing meaning no recruitment and yet there is inadequate human resource,” he says. John Baptist Nambeshe, Mp Manjiya in Bududa, said he expects the President to instill confidence in the public because corruption in the country is endemic and it is eating into the taxes. Hon John Nambeshe ,MP Manjiya -Bududa. “Entities like global Fund and PREFA inject a lot of money in our programs but the money is eaten up and worse still the tax payers expect services but that is also still wanting like good roads, infrastructure development, fully stocked health facilities etc but they are getting a raw deal as a result of corruption. 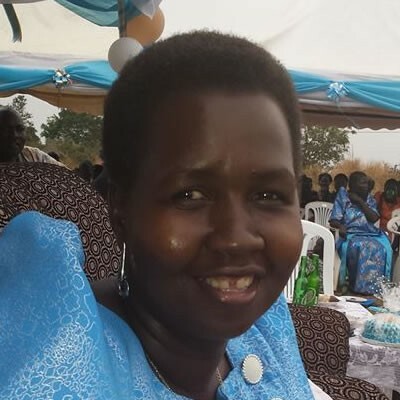 Lucy Akello, the MP Amuru district expects the President to talk about the rampant killings because security organs have failed to protect the women and children. “We want answers. We are living in fear and we need his assurance. I also want him to address the issue of land grabbing in Acholi region and consider us like other regions. Hon. Lucy Akello ,MP Amulu District.